The measurement of torsional twist, or the twist angle, between two points along a shaft or through a gear train may be derived from a pair of tacho signals, one at each end of the shaft. Typically the tacho signals would be derived from gear teeth giving a known number of pulses/revolution. For example one end of a shaft could have a gear wheel with say 60 teeth giving 60 pulses/revolutions when measured with say an inductive or eddy current probe. If there is a gearbox between the two measurement points then it is necessary to know the overall gear ratio and also whether the input and output shaft are rotating in the same or opposite directions. Gearbox ratios when expressed as one value are often inaccurate. Thus in DATS the numerator and denominator are requested as integers so that the ratio is known exactly. The following examples show one case of a crankshaft where the rear end had a gear with 60 teeth giving 60 pulses/rev and the front end had a 20 tooth gear giving 20 pulses/rev. Data was collected over 30 seconds at 100000 samples/second giving some 3 million data points per signal. The engine concerned was a high performance engine with an operation speed in the range 6000 to 12000 rpm. The first two signals below are the two tacho signals. Figure 3 is an expanded view of the front tacho and Figure 4 is the speed deduced from the tacho signals. Determination of the angular vibration used the TWIST module. In the example below the front signal was used as reference and the rear as the target. Initially there is a mean torsional twist of around -2.3º with a vibration amplitude of about ±0.15º crank angle. However after 22 seconds, which corresponds to a speed of about 10000 rpm, it would appear that the shaft has some form of resonance at this speed. Figure 7 below shows the angular vibration plotted versus speed. The second example involves a compound gear which had some degree of inbuilt damping. This was intended to remove the larger vibrations. The compound gear has a gear ratio of 41/17 and the output signal had 17 points per rev. This compound gear was attached to the front of the crankshaft. Again the front crank was used as reference and this time the compound gear was used as the target. Figure 9 shows the result. The initial torsional twist is approximately 0.9º with a vibration level of around ±0.2º but at high speeds the vibration level increases quite significantly. At around 11000 rpm the average twist amplitude is approximately ±0.8º.There are a whole variety of analysis tools which may now be applied. As a simple example the frequency content as a function of time is shown in the waterfall below. The are many observations which may be made. Clearly there is order related information and a waterfall versus speed would be the next analysis, initially using the crank tacho. It is clear that the vibration is, as expected, related directly to the crank shaft. However the presence of half orders was not originally expected. Was not able to find special software for tug boat trans line TVA. We will need practical advice to repower the tug boat. Again thank you for asking a question. Tug boat torsional vibration is probably outside the scope of this article. We will contact you directly to discuss in more detail. Thank you for your great artical. Flankly speaking, I can’t understand how to find the torsional naturla frequency in above Figure 11. I can find only torsional orders. I will need your opinoin on this question. The data being analysed was not a simple shaft but a quite complex set of shafts and gears. So there is not one straightforward ‘shaft resonance’. In this example we have a complicated energy source driving the shafts and gears, namely a multi cylinder engine. However if you look at say order 4.5 then there is a significant increase in the vibration at a speed of about 10k rpm, which corresponds on the horizontal axis to somewhere close to 700Hz. This has the look of a resonance in that it rises and then falls away. So if I choose to extract the 4.5th order this would be an an amplitude versus frequency graph showing what could be a resonance at around 720Hz. In this case it may not be a simple shaft resonance but due to a resonance somewhere. For example it could be a resonance of the mounting which is holding the tachometer unit itself, or it could be a gear chatter mechanism, and so on. 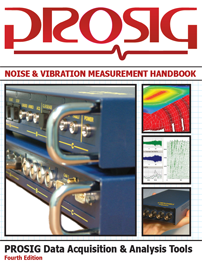 I’ve read most of the articles here and am wondering about the measurement of the torsional vibration to be taken by the difference between two sensors. This will allow less frequency components in the overall signal. Using an Op-Amp as a subtraction tool between the two sensors, the resultant signal will be almost in real time and the delay is minimal compered to the sampling error and the involved calculations when taking both signal separately. Furthermore, the resultant signal will be a function of the twist in a shaft rather than the speed which is the main aim of the analysis. Also, the advantage to get such key data in analog form is huge, that is, before sampling, digitization and the error that is involved with. I was thanking of this idea.